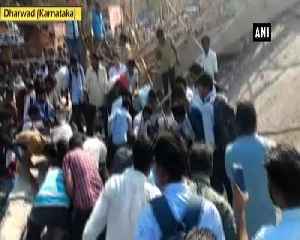 An under-construction building collapsed at Kumareshwar Nagar, Dharwad in Karnataka on Tuesday, killing two people, injuring five and leaving at least 40 trapped, police said. 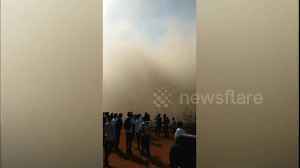 Two people have been killed and dozens remain trapped after a construction building collapsed in Dharwad, southwest India, today (March 19). 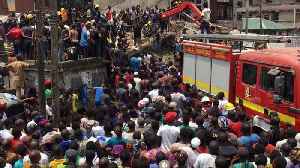 A building containing a primary school has collapsed in the Nigerian city of Lagos, with rescuers trying to pull dozens of pupils from the rubble Report by Dessentjacksonl. Like us on Facebook at..